Is Methadone Safe for Treating Addiction to Oxycodone? Are Methadone Treatment Centers the Only Place to Get Methadone? Opiate addictions can develop from any number of drugs with morphine, heroin, Percodan and OxyContin being just a mere few. Unfortunately, breaking an opiate addiction takes considerably more effort than staying off the drug. Even in cases where a person has been drug-free for months, opiate aftereffects can make it difficult to maintain a drug-free lifestyle. As a drug treatment for opiate cravings and withdrawal effects, methadone has a long-standing history as an effective treatment approach. For recovering addicts who’ve completed the detox stage, methadone maintenance treatment makes it easier to maintain abstinence for the long-term. Depending on the type of methadone program, treatment duration and treatment dosages can vary. While short-term and long-term treatment approaches offer various benefits, in general, the longer a person remains on methadone maintenance treatment the better chance he or she has for a successful recovery. Commonly prescribed as a treatment for pain conditions, opiates attach to opioid receptors throughout the body and block pain signals between cells. Opiates also stimulate the release of the body’s natural pain-killer chemicals, also known as endorphins. By the time a person becomes addicted to opiates endorphin-producing cells lose the ability to function on their own. This effect in particular accounts for the ongoing withdrawal aftereffects a person experiences long after stopping the drug. Methadone helps opiate addicts lead normal lives by keeping cravings and withdrawal at bay. Opiate’s aftereffects, for the most part, leave the body’s pain management system incapacitated. Once a person stops using, it often takes years before these processes return to normal. Methadone maintenance treatment works because methadone is also an opiate drug. In effect, methadone occupies the same receptor sites as other opiate drugs. This, in turn, reduces the body’s withdrawal effects and drug cravings. Methadone differs from other opiate drugs in that it doesn’t produce a “high” effect. 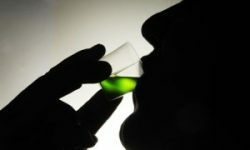 Methadone’s effects also prevent recovering addicts from getting “high” in the event of relapse. Methadone maintenance treatment not only uses methadone as a drug therapy, but also incorporates therapy and support group work as parts of an overall drug treatment plan. Methadone drug therapy treats the physical components of addiction while therapy and support group work address the psychological and emotional issues that drive addictive behavior. In order for methadone maintenance treatment to be effective, a person’s blood level of methadone must be enough to ward off cravings and withdrawal effects without producing the typical “high” effect associated with opiate drug use. Compared to other opiate drugs, methadone creates a long-lasting effect so participants only require daily doses rather than frequent dosages throughout the day. As different people enter drug treatment at different stages of addiction, methadone maintenance treatment dosages can vary from person to person, according to a Columbia University report. Any one dose must be high enough to ward off cravings and withdrawals while low enough to prevent a person from experiencing an opiate “high” effect. According to the Centers for Disease Control and Prevention, the optimum therapeutic dose ranges somewhere between 60 to 120 milligrams per day for most people entering methadone maintenance treatment. When administered correctly, a single methadone does can ward off cravings and withdrawal effects for up to 24 to 36 hours.